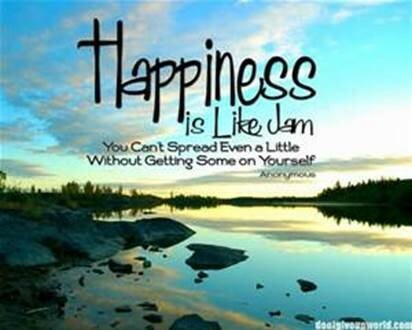 I received an email from a coworker on Tuesday with a fun word-art image about spreading happiness like jam, which gave me a smile on a dark winter afternoon. So, I decided to share it for today’s post and spread some happiness for Nurturing Thursday. And, I’m happy to report that when I ate a yummy sourdough English muffin with apricot jam for my breakfast today, I did not get any jam on myself. I hope your day got off to a good start too! Hi Meg, I love your new gravatar photo! Great quote, spreading happiness is contagious! Have a great weekend! Thanks Elizabeth, I love yours with the friendly tree too! Glad it gave you a smile, Grace!